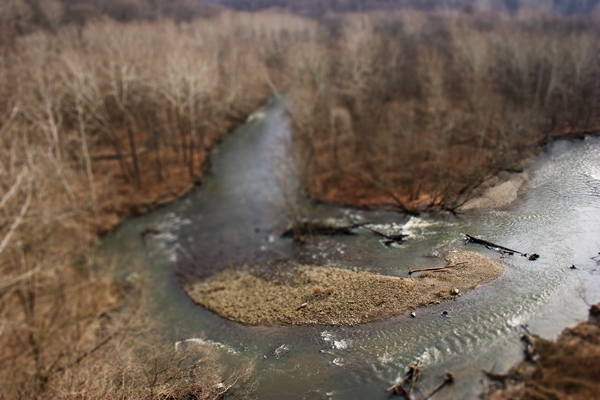 One of my favorite views of the Cuyahoga River is from the lookout point in Cascade Valley Metroparks…especially in early spring before the leaves start hiding the view. They have recently revamped the observation deck, and the view is spectacular! I have created a tilt-shift look to this photo to make it look like a miniature scene. tilt-shift effects are fun to do with the right images. Perhaps, I will write a tutorial if there is enough interest! They are very easy to do and you can dramatically change the way an image looks.